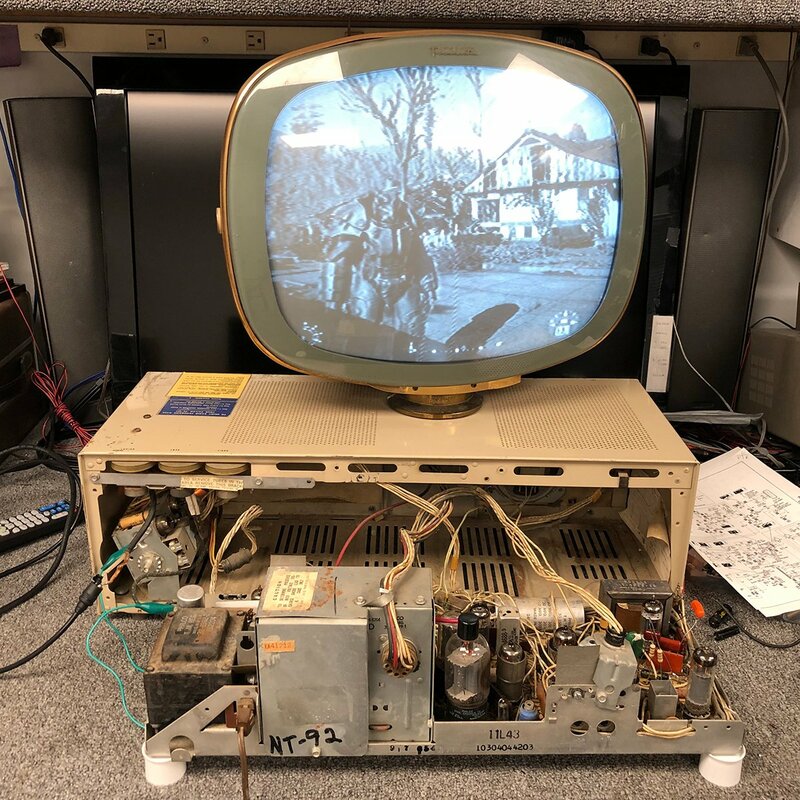 Playing Fallout on a Late 1950s Philco Predicta « Adafruit Industries – Makers, hackers, artists, designers and engineers! HDMI > HDMI to RCA converter > RF modulator > balun to attach it to the antenna forks. 3 layers of quality loss, plus the RCA converter downscales it to 240p instead of 480i unless you get an $80 one that supports interlacing. I’m told he used a 640 x 400 VGA signal from a laptop, converted it from VGA to component, then used an RF modulator from the component signal.